Hola! Welcome to the Rolex Legacy. Here is our founder Zhalee Rolex, who happens to be Dramatic, Good, Perceptive, Neat, and Neurotic. The family trait chosen is Dramatic, whenever she decides to have kids. We bought the biggest piece of land out here in Appalosa Plains and ended up with 8,000 dollars to spend on the house. We’re going for the standard of 10 generations, no cheats (except CAS to edit town sims), and all heirs will be girls (the ones with the best traits hopefully) but if one of the guys is really handsome then maybe we can bend the rules. We’ll also be using NRAAS Story Progression to move the town along. That’s the house behind her, pre-stages. And more of the land. Nice neighbors over there, whoever they are. Here’s her Siberian Husky named Chariot. And so the house rises from the ground. The insides that all add up to 8,000 simols~ (I believe that’s one bed, two light bulbs, a toilet, a fridge, and the dog bowl). She now has…10$. We went out boy hunting for a bit to get this legacy in gear; Zhalee found a cowboy but I like what Chariot found in the library instead. He winks. Ah shoot, he’s shorter than her. He’s a teen. Go away Cruz, we’re not interested. Cruz: You are in a library. Next day. So this is what happens when you don’t have a chair. Does it taste good on that toilet Zhalee? Ooh, a four-legged visitor. GO SAY HI ZHALEE! Zhalee: OH EFF A HORSE!!!! You’re like 3 queued actions late, Zhalee. Zhalee: I will chain you to the bottom of this house so you can stop contracting damn flees. There are worse things under that house, Zhalee. Like pixels. The Ice Cream truck stopped by. Zhalee: What is that thing on your head? Does it measure water? Zhalee: And it comes with a plus sign! She decided to teach him some hunting skills to fulfill his wishes. Zhalee: GET OUT OF MY SIGHT UNTIL YOU SNIFF A DIAMOND! We continue with detective work. What case did you finish? Zhalee: AHA! I knew it all along. That little booger Cruz kicked over the gnome. Zhalee: Thank you for not peeing on my bed. Later in the week we came upon a preggo woman. Yikes. Pregnancy is spreading like a disease around these parts. 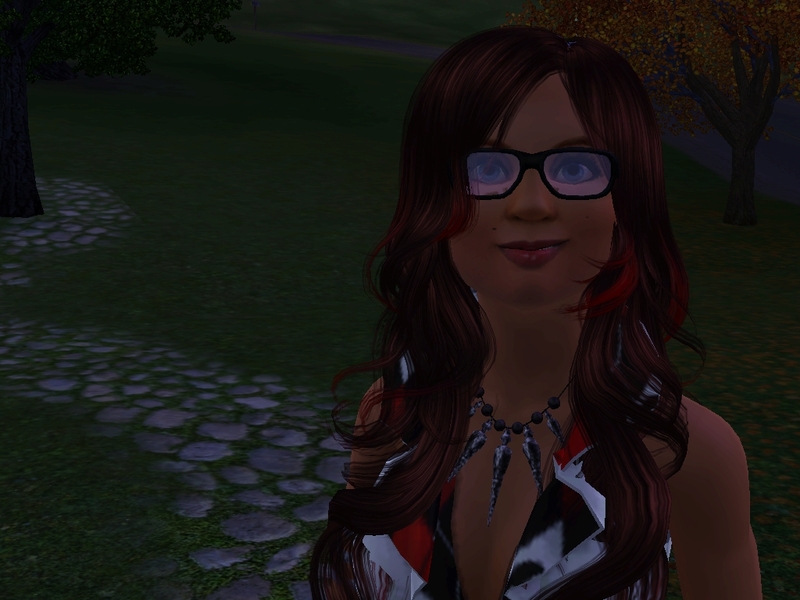 Zhalee: Umm…so what do you think about Blondie marrying that girl he likes? Guy: *nods* They’re terrible together. …When did…these two get in there? Chariot decided to make friends with a kitty. Aww, this is such a cute picture. Too bad that lady in the background had to ruin it with her thought bubble. Chariot: That one? The one creeping towards me ominously? Police Woman: Just go and I’ll tell the others you escaped! After the burglary we decided to spend more France money on these nice curtains and window. It’s a doggie treat, Zhalee. …This ice cream truck has been sitting out there for a few days now. Chariot went out to have a compelling discussion with other neighborhood dogs. The kitchen is coming in progress. Once Zhalee went for another quick meal I remembered to buy a sink and a smoke detector. Zhalee: I AM FIRE PROOF! We adopted a new puppy named Maddie! I forget what breed she was. They seem to be getting along. Zhalee went out to start the case and told the guy what she found when she hacked into the government database. Zhalee: I saw a lot of 1’s and 0’s. Chariot! Stop being a bad influence on Maddie! A car might come and phase right through you! Never going to get any cooking skill points this way. While Maddie was tearing Mr. Gnome to shreds Zhalee went to the gym to take a shower (since that bathtub does no justice) and ran into fancy-suit here named Gregorio. Zhalee: *rolls a wish to know his sign* So what’s your sign? Gregorio:…And there was NO coffee left in the espresso machine! This new lady moved into town. Am I the only one getting a dangerous amount of blank-skinned sims? It’s becoming a problem that ‘object delete’ won’t fix. I don’t see how this is possible when the sims are bred from custom-sims in the bin. I managed to fix her skin without my game crashing (for the first time) and found the stupid skin tone that was messing up my game. 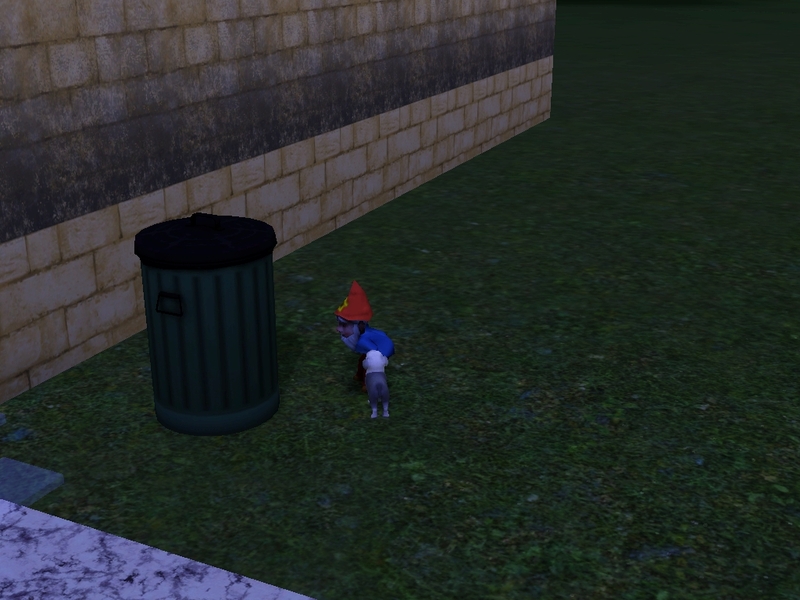 Looks like I’m going custom-sim hunting in the bins to find the culprit. Zhalee waited patiently outside the men’s bathroom until Gregorio finished so she could chat with him again. Gregorio: *giggles* You know that voice inside your head that’s narrating your life? I can hear it too! Zhalee: I have the perfect idea to impress him! Chariot and Maddie decided to tag along and come to the park (named TriRena). Maddie is taking some time getting here on her puppy legs. The things that come up when playing chess. Zhalee: Yawn…this is getting boring. Let’s go eat somewhere. :O What does THIS do?? We end this post with Gregorio entering the fancy restaurant in only his boxers. LoL Chariot winking when he found the guy was awesome. I had that teen thing happen to me too. It’s so hard to tell in this one until you get them side by side! Yes, definitely something to be thankful for. Random gnomes are fun! They must have been scared of the gnome kicker and jumped into her pocket when she was investigating. That career looks interesting. I haven’t tried it yet but I need to. I love the picketing gnomes outside. Your story is hilarious! Nice to find another writer who still does the narrative. Definitely going to follow you!